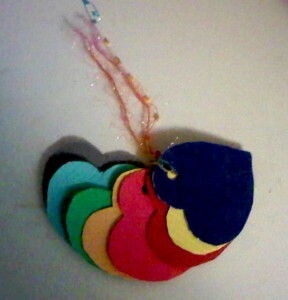 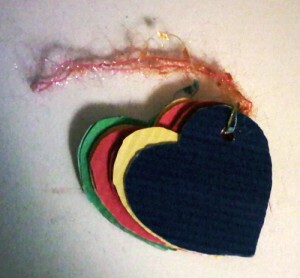 Back in 2010, I made a series of color coded hearts for a friend of mine who had a hard time sharing what they were feeling. 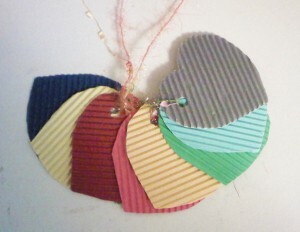 Because I knew they were tactile and color conscious, I figured these would help. 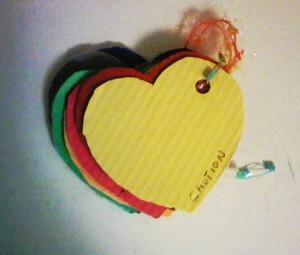 I wrote words on one side so that whoever was being shown the heart could know what it stood for.